34 Coffee Smoothie Recipes That You can Make In 5 Minutes! The season of coffee smoothies is coming as summer rolls towards us. During colder seasons, I love to wake up to a cup of hot, steamy brew, but in the summer, coffee smoothies are my hubby and I’s go to. Not only are they quick and easy to make, they’re also full of nutritious things like fruit, nuts and even protein powder. 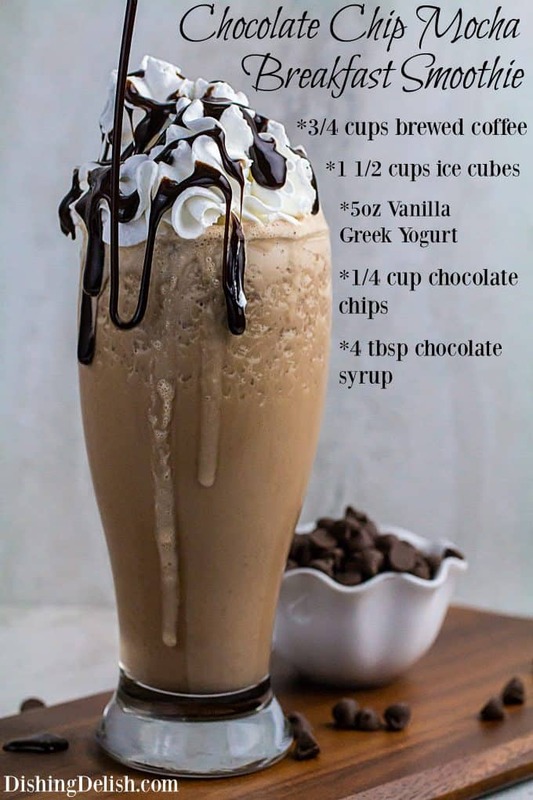 Here is a list of 31 delicious coffee smoothie recipes for you to enjoy! 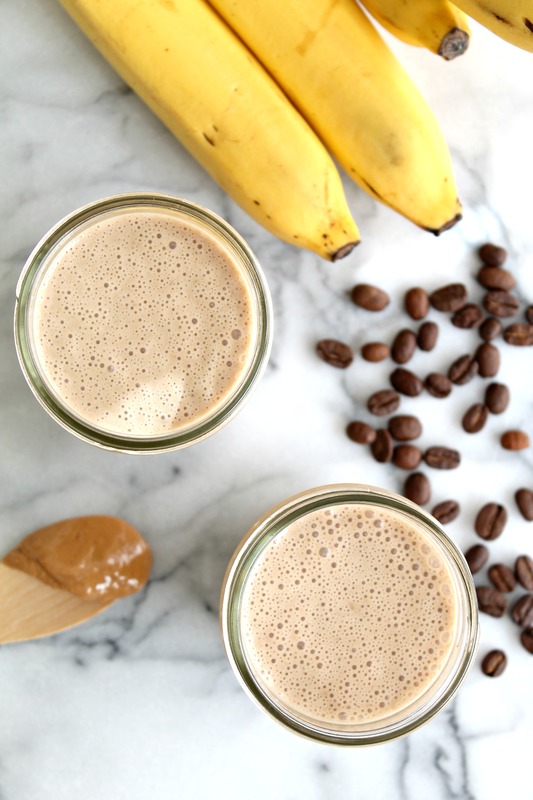 This simple, quick coffee smoothie recipe can replace a breakfast with its rolled oats, banana, and optional spoonful of nut butter. 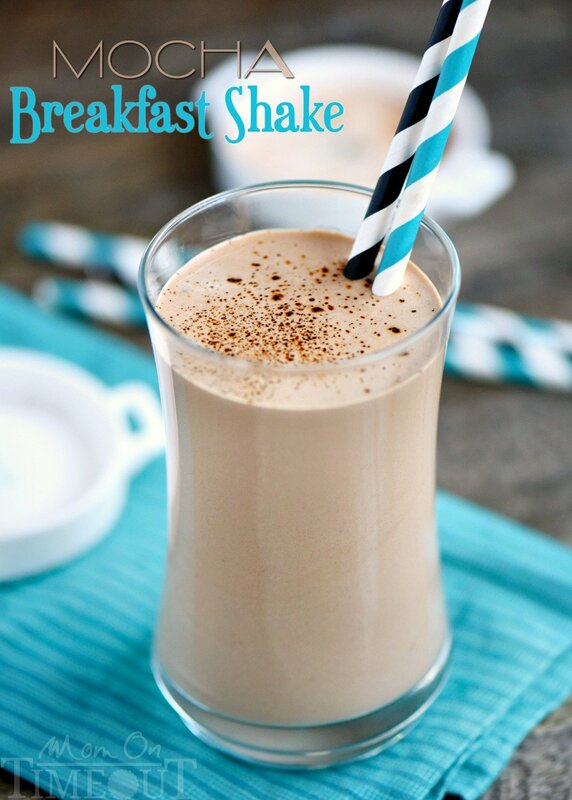 Not only will it wake you up, it will also get your morning off to a great nutritional start! Try the recipe here! Do you sometimes wish you could have a personal Starbucks barista on call at all times? 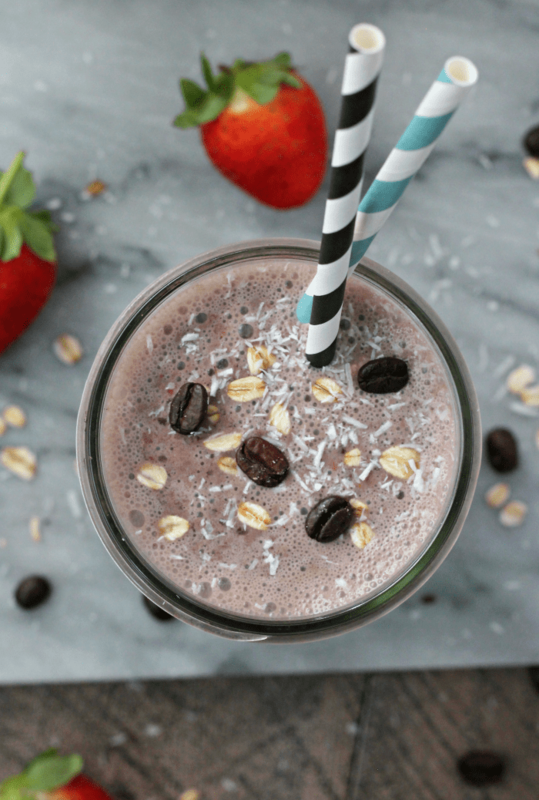 This strawberry mocha smoothie recipe gives you Starbucks flavor in the luxury of your own home. Bonus: it is a lot cheaper and more environmentally friendly than spending $4 on a drink that comes in a plastic cup. Try it here! This is something I used to splurge for when I went out because I love the flavors of coffee and caramel together. Now I just make it at home, and it’s just as good and a lot healthier. My hubby loves this one as well, so this is our weekend morning luxury smoothie that we’ll sip slowly and enjoy. You can find the recipe here. Loving banana is a helpful trait to have when it comes to coffee smoothies because a lot of coffee smoothie recipes call for them. Here’s a simple one that is quick, easy and healthy. Perfect for breakfast time! Try it here. Coffee smoothies are great because they wake you up and can be filled up with nutritious things like fruit and, in this case, protein powder and some flax. I’m not a big fan of protein powder, but this is a great shake to drink if you’re planning on doing a morning workout. It will not only give you that extra oomph, but also fill you up and help your muscles recover after. Try it here! I love coconut, especially toasted coconut. If you do too, then this is the smoothie for you. The toasted coconut pairs deliciously with the coffee, giving it an extra fragrant touch that I can’t get enough of. You can find the recipe here. Cashews are great in smoothies because of their rich texture when blended up. To me, the nuttiness of cashews and potassium-rich banana are perfect if you’re gearing up for a busy day. I wouldn’t drink this one before working out because it is a bit heavier, but if I know I’m going to be in and out of the house, this is the one! Try it here! We’ve finally gotten to fruit other than bananas. At first, I wasn’t sure if the tart sweetness of blueberries would go well with coffee. But they are amazing together! Blueberries are my hubby’s favorite fruit, so we make this one often at my house. You can find the recipe here! Green smoothies and coffee are the perfect mix of nutrition and antioxidants. This recipe is probably one of the healthiest on this list, and I feel so great after I drink it every time. 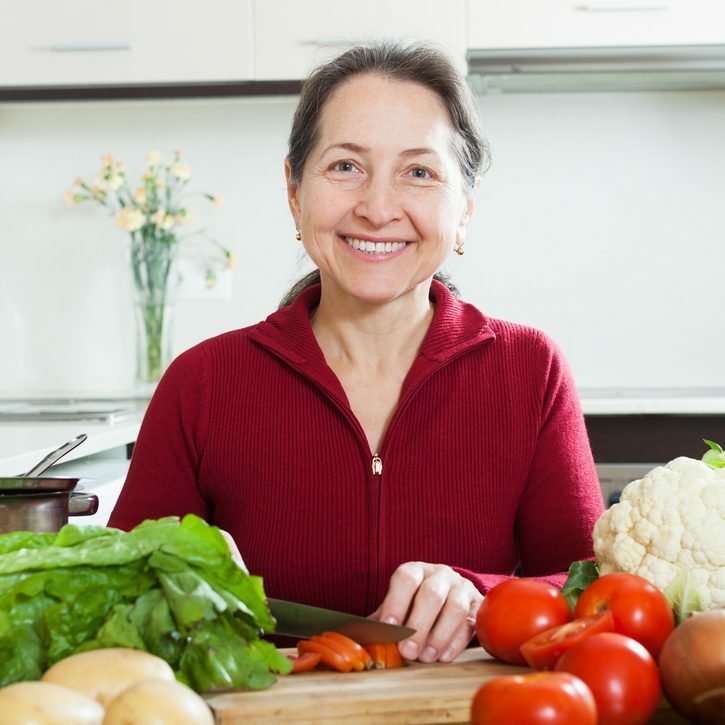 If you’re trying to lose weight, be healthier, or just want to start your day feeling perked up and healthy, try it here! Since we’re on a healthy smoothie trend, I wanted to go ahead and share this one next. The chocolate chips are a yummy touch to a probiotic rich recipe. Kefir, if you don’t already know, is a fermented drink much like yogurt. It has a tangy taste that is balanced out perfectly by the sweetness of the chocolate chips. You can find this recipe here! The classic flavor combination of peanut butter and bananas is enhanced by the coffee in this recipe. I love eating bananas with a dab of peanut butter on them, which makes this smoothie absolutely delicious to me. If you like those flavors as well, try the recipe here! 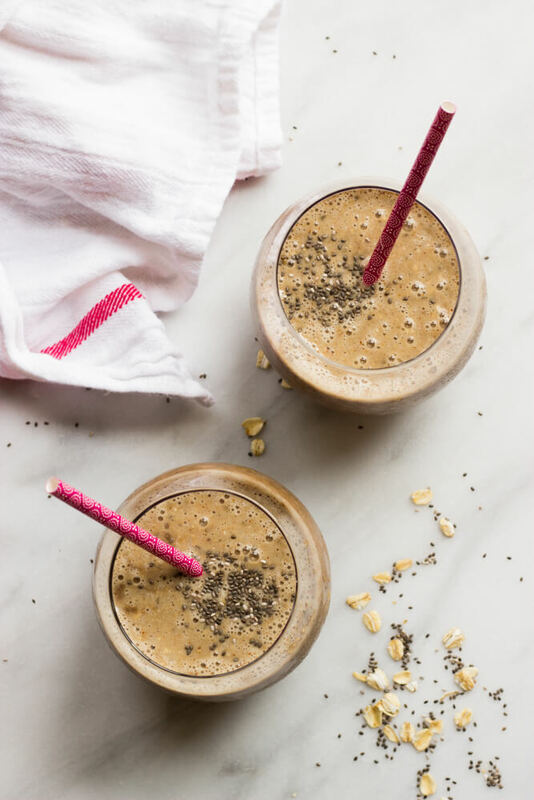 This isn’t exactly a smoothie, but I wanted to include it on the list because most coffee smoothie recipes are focused on being healthy, but sometimes it’s good to let go as well! Try this boozy recipe here. Chocolate, like coffee, has antioxidants that can help slow aging and even prevent serious diseases like cancer. 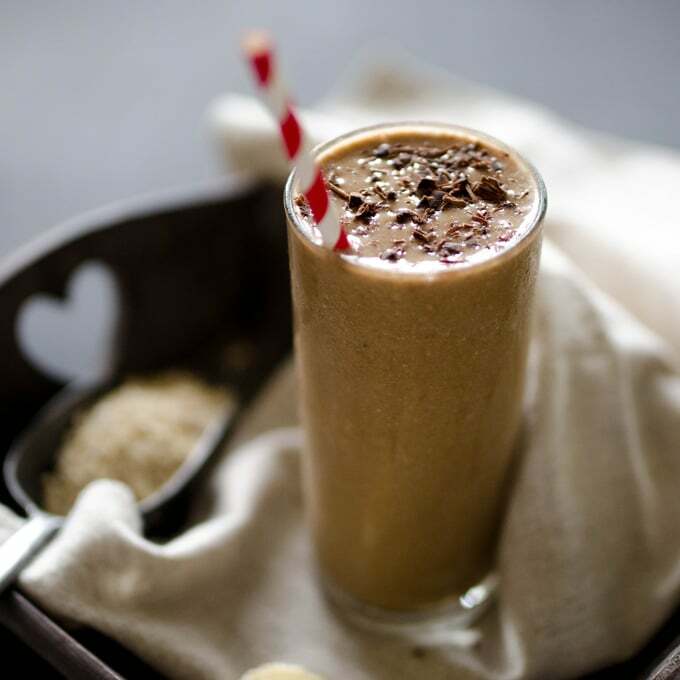 This coffee smoothie is not only a chocolate lover’s dream, it is also very health conscious. If you’ve been craving cocoa but needed a healthy reason to indulge in it, here’s your chance! Try the recipe here. Coconut and chocolate and coffee? Yes please. 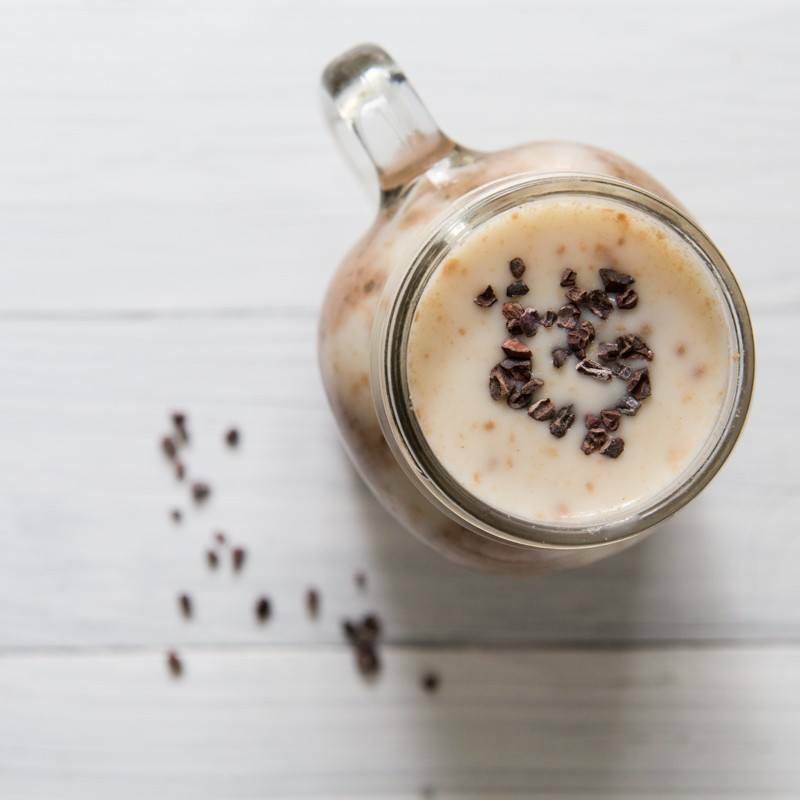 If you’re a fan of Almond Joy, Caramel Delights, or any other coconut and chocolate combinations, you will probably like this simple and delicious smoothie. Check out the recipe here! Avocados are full of nutrition, and their creamy texture works great in smoothies. My hubby and friends all love this one, especially when we’re on a health kick. Nothing makes you feel healthier than drinking up an avocado. 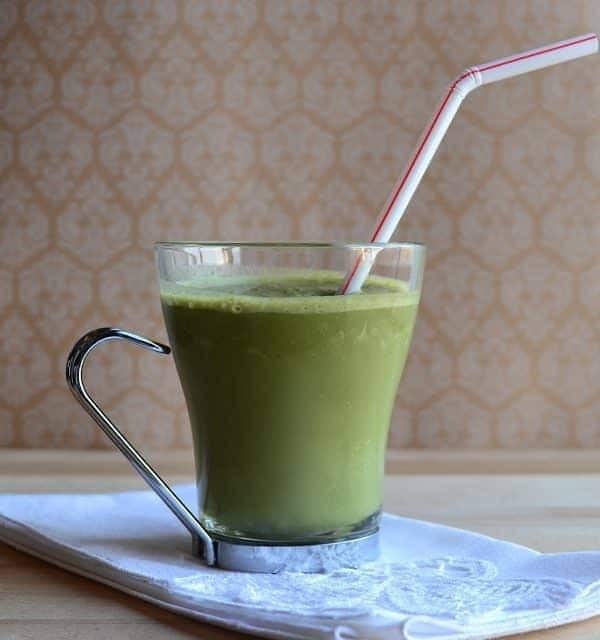 Try this green smoothie here! When cherry season is here, try this amazing coffee smoothie. The tartness of the cherries and red cherry juice make this drink not only delightful to consume but also beautiful to look at. Many varieties of fresh fruit and coffee pair well together, and cherries are at the top of that list. You can find this recipe here! You may also like: How Much Caffeine in a Cup of Coffee? My hubby loves cinnamon, so this one is an obvious one for him. 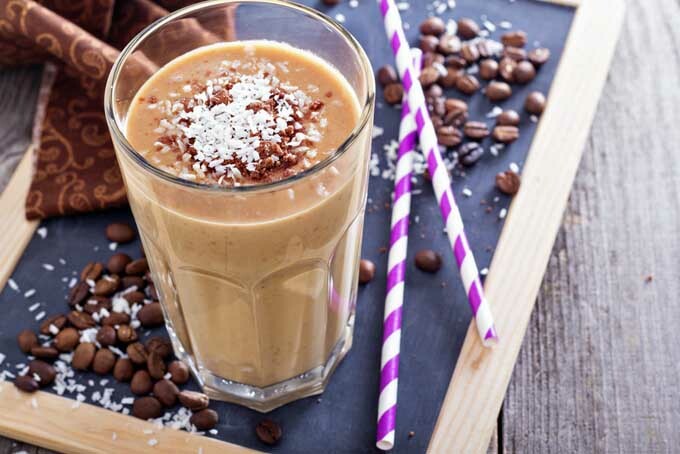 The warm cinnamon notes help balance out the iciness of the smoothie itself. If you don’t like cold drinks but like the idea of a coffee smoothie, try it here. Related Post: What's the Best Coffee Beans for Cold Brew? Back to the topic of Starbucks, if you don’t feel like leaving the house and spending a ton of money on something you can make at home, this is the recipe for you. Not only is it cheaper and more convenient, it’s also healthier. Call me lazy, but I like enjoying the Frappuccino flavor in the comfort of my own home so much more than having to get dressed and drive somewhere. Try the recipe here. Did you have a chia pet growing up? This recipe uses the seeds rather than the greens. The chia seeds add an extra boost of Omega 3’s that are great for you, and the simplicity of the recipe makes it a quick fix for breakfast. Try it here! 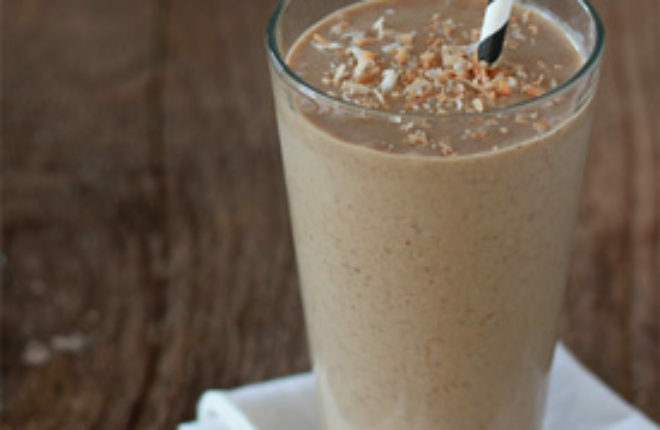 This is much like our coconut chocolate coffee smoothie recipe from earlier, except it replaces chocolate with almonds. If you’re looking for a healthy alternative but still want to preserve that coconut flavor, this is the one for you! You can find the recipe here. Before I found this recipe, I loved ordering the coffee beverage option at Vietnamese restaurants. Well, this is how you make that! Super simple and very yummy, this recipe was surprising and exciting to find for me, and I hope you enjoy it as much as I do. Try it here. Speaking of easy smoothie recipes, here’s one. 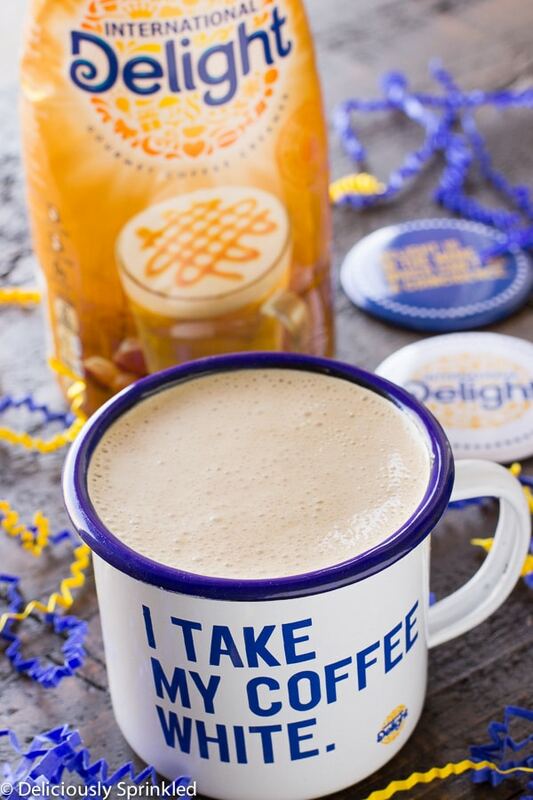 Almonds and coffee go great together – everyone knows that. This recipe puts them together in a quick and easy way that even the sleepiest night owl can throw together in the morning. You can find the recipe here. Earlier in the list we had a banana cashew coffee smoothie. This one is similar except it adds the ever-welcome element of chocolate! Super rich and very filling, this smoothie will get the job done as a breakfast, snack, or even dinner if you are replacing your dinners with smoothies to lose weight. Try the recipe out here! 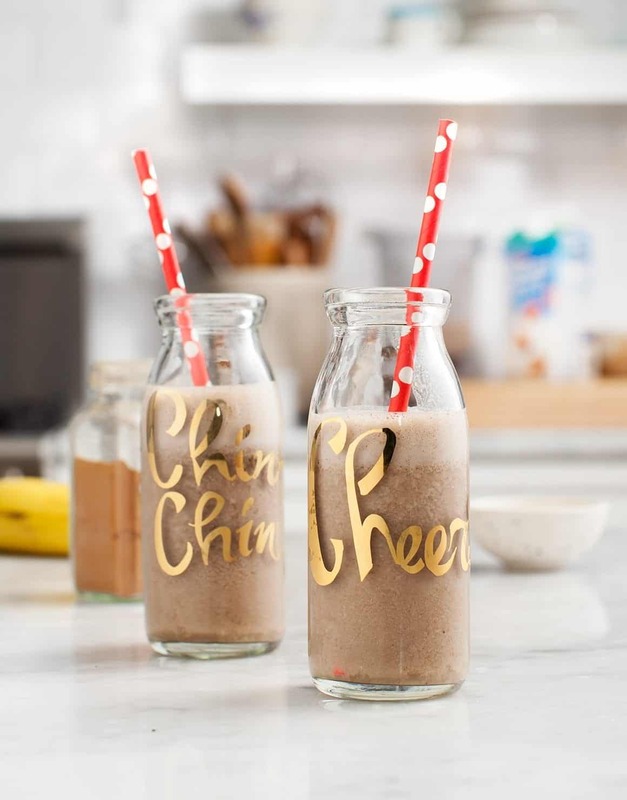 Another banana coffee smoothie! This one is special because it uses hazelnuts, which I love for their rich fragrance. Hazelnut coffee is one of my favorites. If you’re looking for another addition to your banana coffee smoothie recipe collection, then try this one here. Losing weight is a big topic as summer comes around, so at least one weight loss smoothie recipe was a must have on this list. This one tastes delightfully tropical with its, you guessed it, banana and also coconut milk ingredients. If you’re starting to watch your calorie intake to prepare for bikini season, you can try the recipe here. 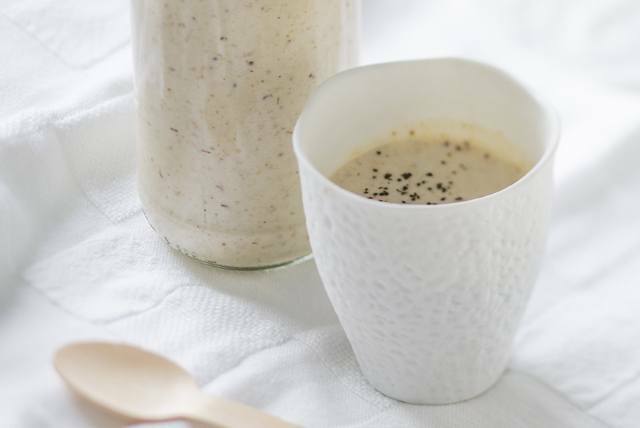 Here’s another take on the healthy breakfast coffee smoothie! 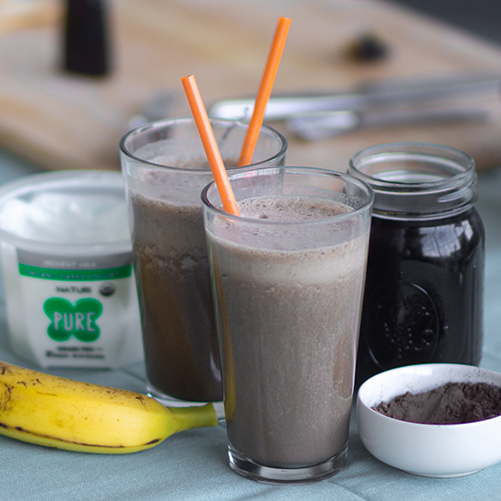 This one features bananas, cocoa powder, Greek yogurt, and an optional scoop of protein powder. It’s perfect if you’re on the go in the morning, much like many of the other options on this list. Try it here! Chocolate goes with everything, and coffee is no exception. If you’re looking for another Starbucks looking frap, then search no further. This recipe will give you something to rival what you might get from the coffee conglomerate. Give it a try here. I’m saving some of the best for last, and here’s a family favorite. My hubby and my mom love this one because they love Reese’s peanut butter cups and this is a more perky, healthy version of that. The Greek yogurt gives it a boost of probiotics, as well. You can try the recipe here. 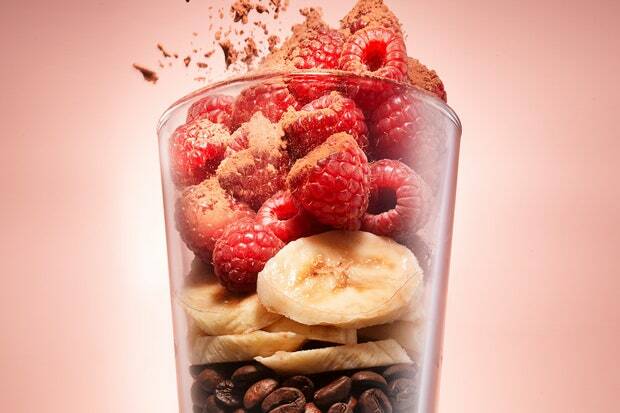 Coffee, almonds, berries – what more could you want in a morning or snack smoothie? I’ve said enough about the nut, berry, coffee combination for you to know my thoughts on that that topic. You can try this delicious recipe here. Flax seeds are amazing sources of Omega-3 fatty acids and are a wonderful solution if you ever find yourself constipated. Coffee is another thing that helps move the bowels, so this smoothie is one that I make for my family anytime someone needs help in that department. Try the recipe here! 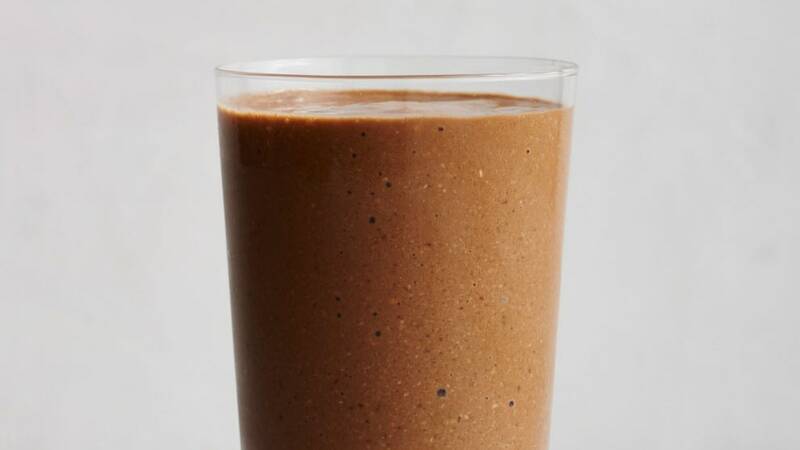 Chocolate chips in my morning smoothie? Yes please. This one is a little more indulgent that some of the healthier options on this list, but everyone deserves a treat every now and again. You can find the recipe here. Many of the recipes on here contain yogurt. Here’s a simple one that goes back to the basics in a great way. If you’re in a rush, or not a huge fan of complex flavors in the morning because you’re just too out of it to care, then try this simple but yummy recipe here. I told you I was saving some of the best for last. 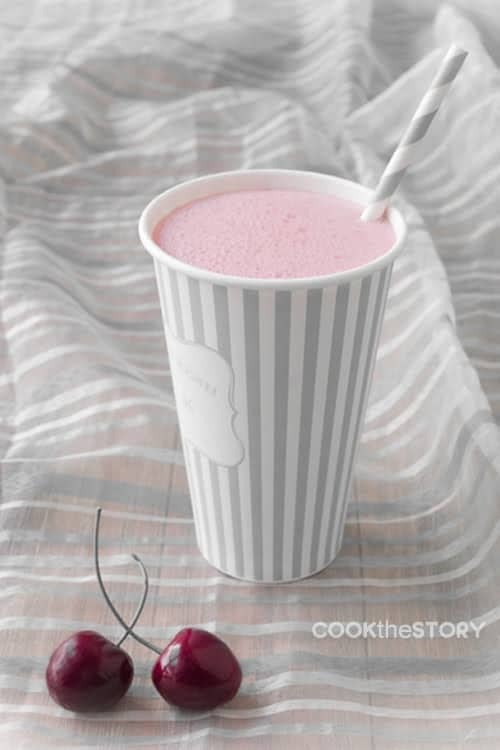 This strawberry coffee smoothie is to die for, and it comes with an extra little surprise – the recipe for yogurt whoopee pies! Meant to be consumed together, the strawberry coffee smoothie and frozen yogurt whoopee pie combination is a sublime way to treat yourself and your family to a yummy snack. Find the recipe here! We’ve already gone through the blueberries and strawberries, so we can’t leave out this one. 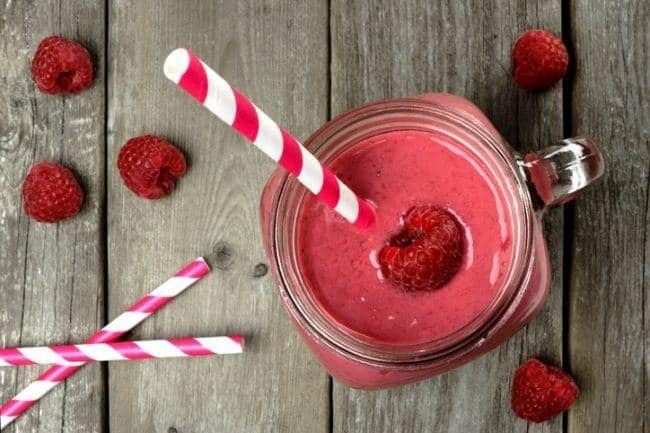 The tart sweetness of raspberries shines in this coffee smoothie recipe. See for yourself here. Did you enjoy that list of delicious coffee smoothie recipes? Since it’s such a central part of my every morning in the summer, I wanted to share them with you here so that more people can enjoy the delights of coffee smoothies. Comment below if you’ve tried or think you are going to try any of these recipes, and share the article if you liked it!